With Karma Koin gift cards, you can see your potential in these games soar to new heights. Karma Koin gives players the ability to use in-game currency to further their skills and build an easier path. 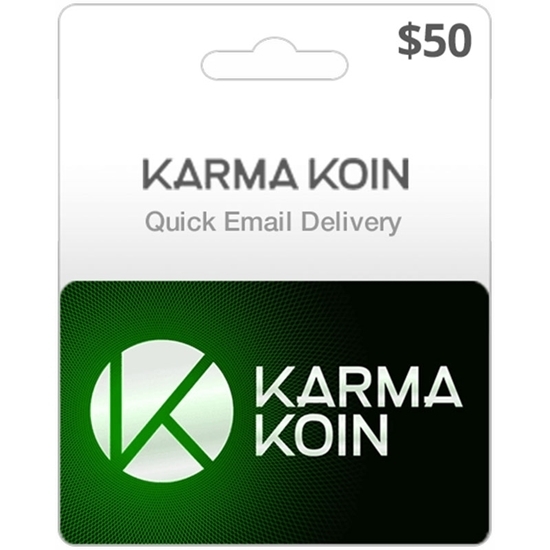 Karma Koin gift cards come in varying monetary levels and can be sent via instant email delivery. They make the perfect gift for someone you know who loves to spend money in their favorite video games. Digital delivery also has the added benefit of letting the player simply enter the code into their game of choice. All of this bypasses the pesky paper and plastic physical cards that we’re used to. This means that you can shop and spend from the comfort of your own home! Why Buy Karma Koin Gift Cards Through Email Delivery? Our Karma Koin cards are ready to use immediately. We digitally deliver legitimate USA gift codes straight to your email inbox. Fast email delivery is the best way to receive a gift card without leaving your house. We can have your codes to you within 5-15 minutes of completing your order. What Can You Buy With A Karma Koin Gift Card? Our cards are available in these amounts $10, $25, $50, & $100.